NYC-All Airports - Carlos Ibanez Del Campo Intl. 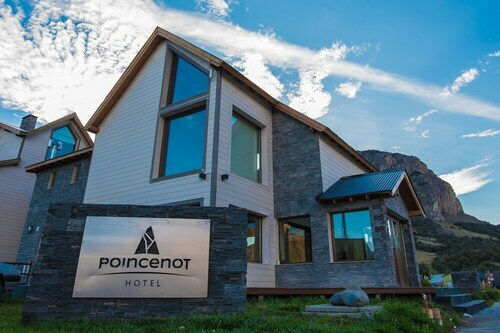 Situated in a regional park, this luxury hotel is 1.5 mi (2.5 km) from Fin del Mundo Train Station and 2.5 mi (4 km) from Ushuaia Port. Ushuaia Naval Hospital and Maritime Museum are also within 3 mi (5 km). Situated in a provincial park, this spa hotel is 0.8 mi (1.2 km) from Capilla de los Escaladores and 2.1 mi (3.4 km) from Salto El Chorrillo Waterfall. Viedma Lake is 3.6 mi (5.8 km) away. 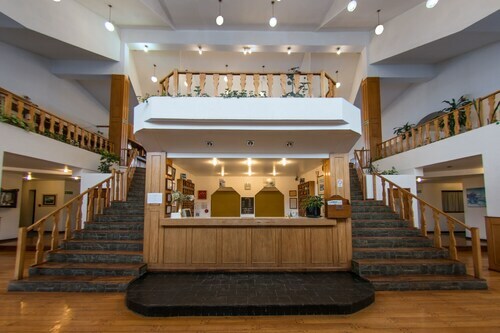 Located in the heart of Ushuaia, this hotel is within a 10-minute walk of Government House, St. Christopher Shipwreck, and Yatana Park. Fin del Mundo Train Station and Cerro Castor are also within 20 mi (32 km). 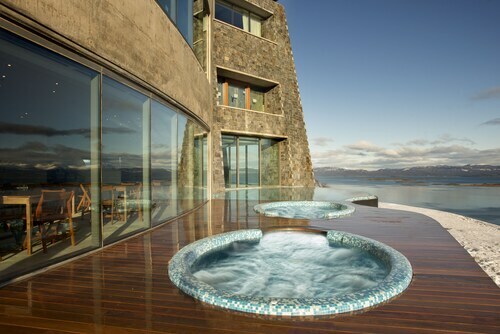 Located in the heart of Ushuaia, this spa hotel is steps from 25 de Mayo Square and Ushuaia Port. Government House and St. Christopher Shipwreck are also within 5 minutes. 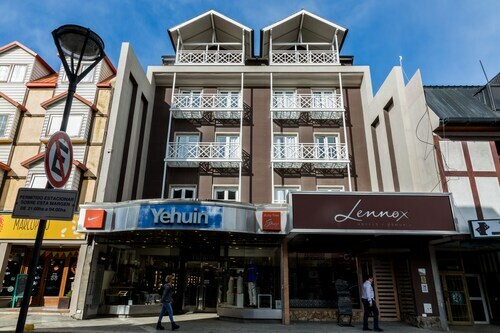 This family-friendly Ushuaia hotel is located near the airport, within a 5-minute walk of 25 de Mayo Square and Ushuaia Port. St. Christopher Shipwreck and Merced Church are also within 5 minutes. 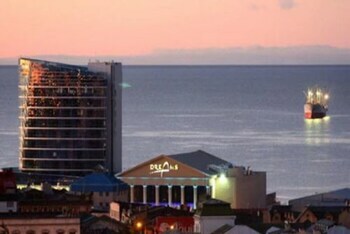 This Ushuaia hotel is on the beach, 2.9 mi (4.6 km) from Laguna del Diablo, and within 6 mi (10 km) of Ushuaia Cultural Center and The End of the World Train. Cerro Castor is 19.9 mi (32.1 km) away. 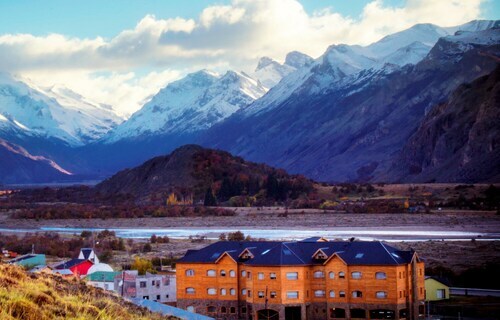 Situated in El Chalten, this hotel is 0.7 mi (1.2 km) from Capilla de los Escaladores and 2.1 mi (3.4 km) from Salto El Chorrillo Waterfall. Viedma Lake is 3.6 mi (5.8 km) away. 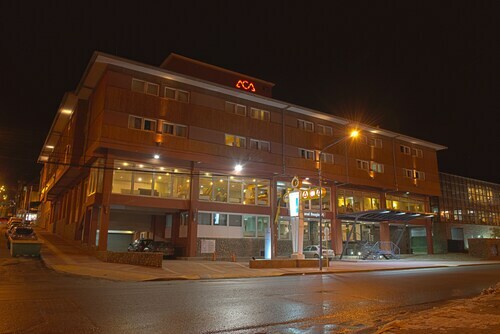 Situated in Ushuaia, this hotel is within 1 mi (2 km) of Yatana Park and Ushuaia Port. Government House and Ushuaia Naval Hospital are also within 1 mi (2 km).